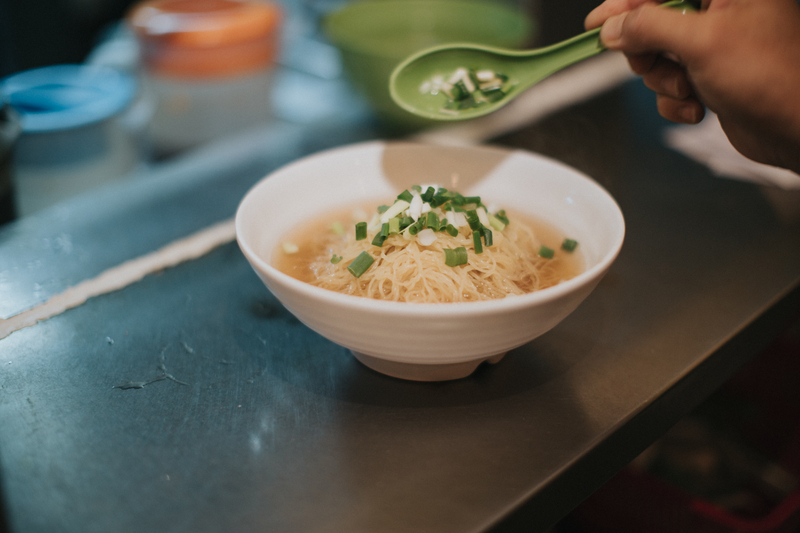 Hon Fat Noodle House started out all the way back half a century ago in 1973, from its first days as a humble Shek Kip Mei dai pai dong to its subsequent move into a Sham Shui Po location. Since the day he took over the reins from his father, Kwok Moon-tong has dedicated days on end at Hon Fat not only to make a living but also to keep the Hon Fat brand alive. 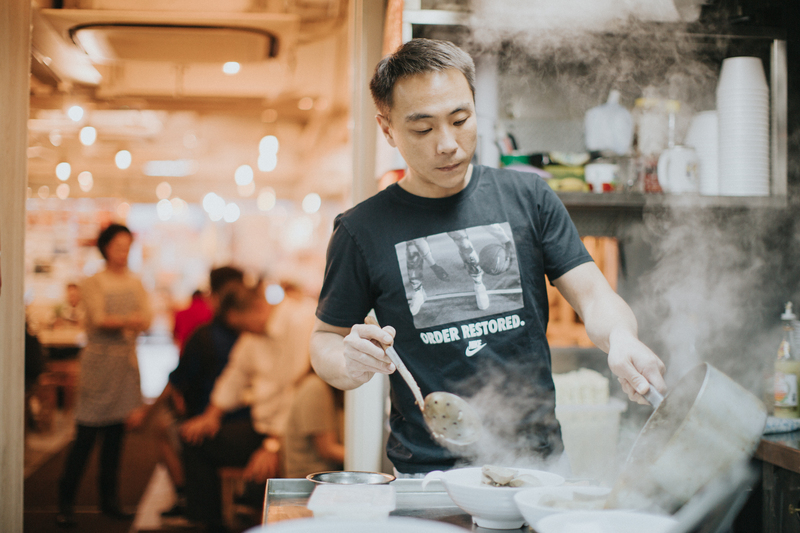 As much as his father was conservative, Danny is creative enough to claim Cantonese milk tea, pork liver noodles and French toast Hon Fat’s own signature dishes. “I don’t believe in fate. Willpower dictates your success in life. It’s not like somebody’s forcing you to do or not do something at gunpoint,“ said Kwok Moon-tong (Danny). He conceded that he was never cut out for school. He left school after Form 4 for a passion for cars. However, a short-lived career at a garage left him feeling unfulfilled. His subsequent job stints allowed him to tap many industries including construction and fabric wholesaling but he ended up waiting tables. That job lasted but one day. “I enjoy cooking more than serving,” he explained. The catering industry is tough though. Back then, his father was reluctant to pass the torch. Rather he wanted his son to find employment. Danny was not one who obeys. He started helping out at Hon Fat from the year 2001. At Hon Fat, Danny was always the boss’s son. He refused to live under this father shadow and yearned to step out. Regular customers tended to compare him with his father. This gave him a great deal of pressure. “My father insisted on using fresh beef brisket from the market but the supply was shrinking so we had to opt for frozen meat. With that alternative came a problem with the flavour. We needed to satisfy customers’ taste.” This is his stubbornness at play. Years ago Hon Fat only offered wonton egg noodles and fish ball rice noodles. Danny had always wanted to put coffee, tea and instant noodles on the menu. It so happened that the tea stall boss next door threw in the towel. His father suggested that he go and learn the ropes from the tea stall boss. He came back home empty-handed. “So I decided to learn the trade myself and it took me a couple of months to hone the craft.” The daily intakes of tea one after another gave him not only the skills he needed but also insomnia and a massive weight loss. After that, he realised that Hon Fat’s menu choice was still too slim too boring. At the time, pork liver noodles were becoming popular among local diners so he was off again to learn the secrets from an experienced chef. “For the pork liver to be crispy, succulent and soft without that pungent fish stench, you have to get rid of the last trace of blood in the liver by pumping and rinsing it.” He is not a fan of pork liver, but was keen to test his products. 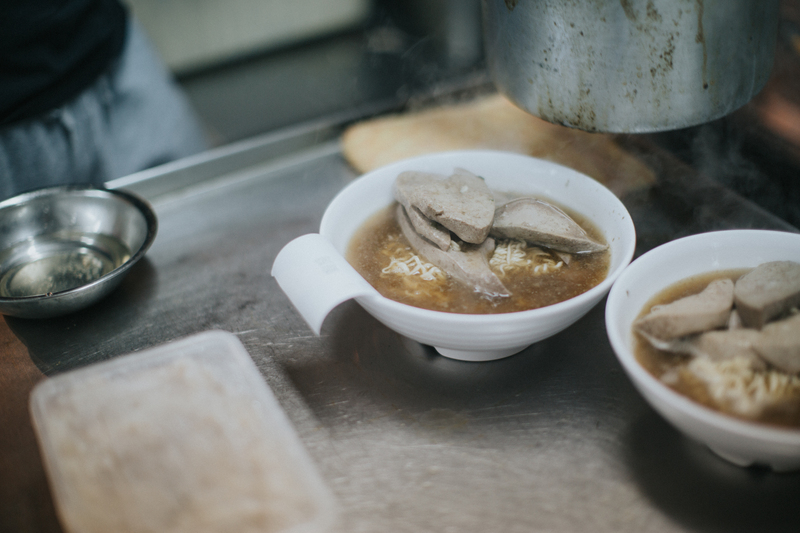 Today, pork liver noodles have become a Hon Fat signature dish. His next ambition was French toast so he consulted the master chef again. The resulting product was pleasant but too greasy. Then he remembered a tasty French toast from a restaurant in Sai Kung. Subsequently, he learnt that the secret lies in the egg mix: “Beat the yolks and egg whites separately before dipping and firing,” he revealed. After a number of tries, he made it soft and light. As his father retired, Danny took the reins. His father was conservative while he is more adventurous and creative. 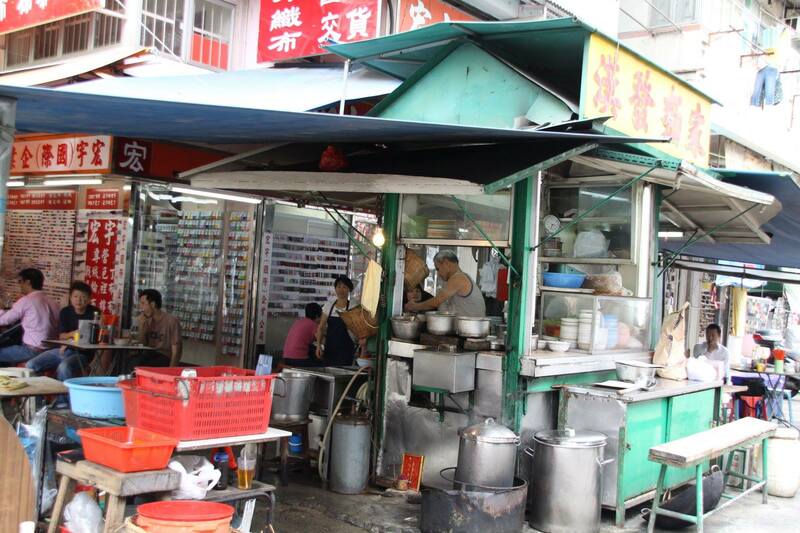 He even expanded Hon Fat by renting the two stalls at the back of the dai pai dong. However, a To Kwa Wan building collapsed in 2010 and led the government to tighten old building inspection.Without a business registration, Hon Fat was ordered to close. 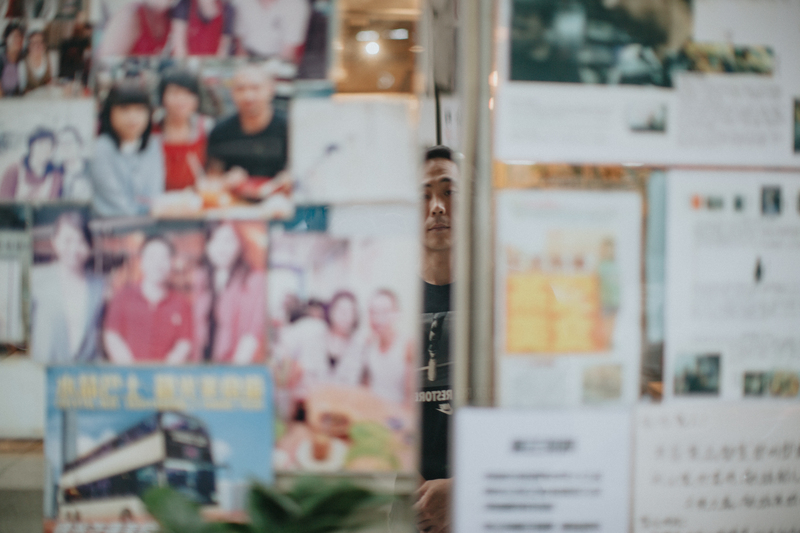 A year later, Hon Fat moved into a Tai Nan Street shop. Not long after the move, Danny’s father passed away and took with him Danny’s only emotional support. Danny has made something of his life. Hon Fat is a popular eatery in the neighbourhood. President of Sun Hei Sports Club and his chaps often visit Hon Fat for its milk tea. Members of the Hong Kong Star Football Team are the shop’s regulars. Celebrity photos and news clippings are all over the shop’s glass door. Danny admitted to a tetchy personality. He attributed his achievement to his wife Zoe. The couple met through a mutual friend. It was love at first sight. “We went to the cinema on our first date. She bought me a facial cleanser, saying that I ought to clean up after labouring in the kitchen. I knew then she was the one for me.” The young couple got married two years later. Nothing is meant to be but love is no science. 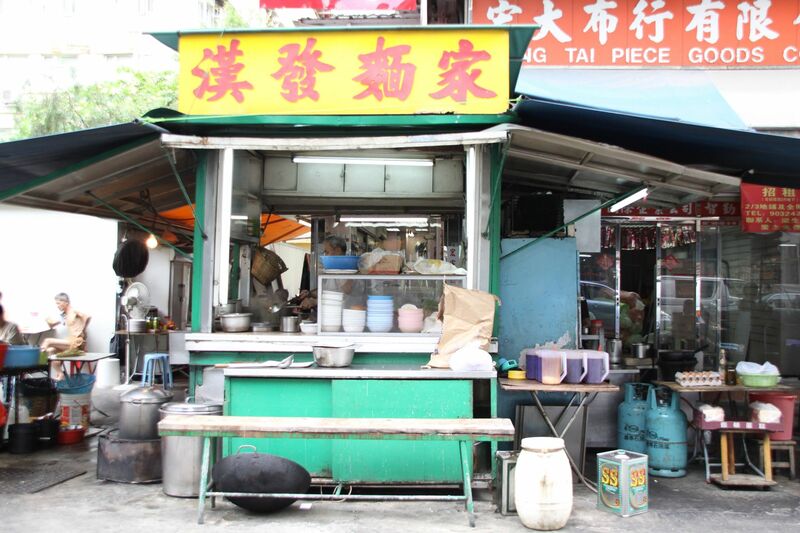 Danny said that his father used to run a dai pai dong in Mongkong with two partners. He lost it to Pao gow, which had won him a flat but eventually cost him everything he ever owned. 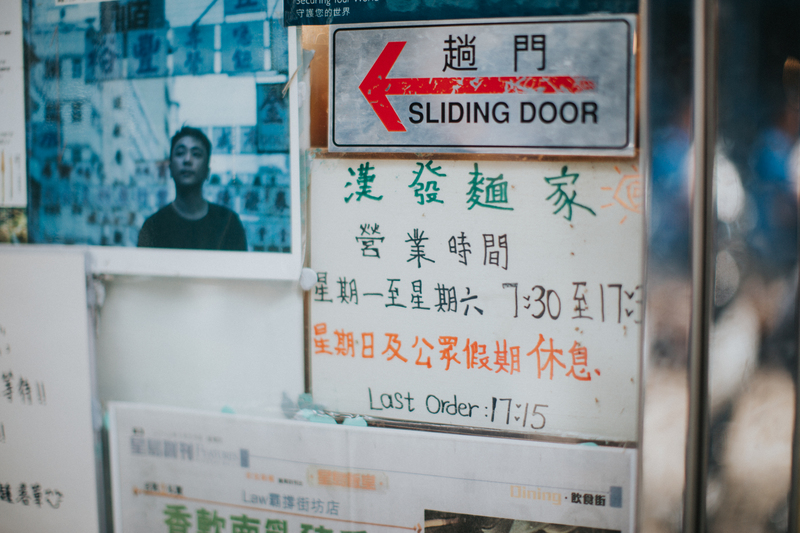 In 1973, Ah-tong’s father borrowed to open Hon Fat in Shek Kip Mei. The shabby dai pai dong was a means of earning a living and a home. His father would sleep on a bed board in the summer and under to stoves in the winter. Born into the lower class, his father ran the business only to make ends meet. With no hopes for romantic love, his father bought a Chinese bride from Thailand through an intermediary and settled down in a penthouse flat. “My father said that having children made him regret his youth gambling.” Danny emphasised that his father was hardworking and had a great sense of responsibility as a parent. He once cut his finger when operating a shredder. He dressed his finger and continued with his work. Like father like son, Danny tamed his temper after getting married and became a reliable family man. Danny has dedicated days on end at Hon Fat not only to make a living but also to keep the Hon Fat brand alive. Getting married and having children gave him another role in life – the breadwinner. In 2010, he opened a ramen shop in Tsim Sha Tsui. The two shops ran him off his feet and he found himself working 20 hours a day. He even missed his son’s birthday. “You win some and lose some. One must learn to comprise because you cannot have everything,” he said. For this reason, he closed the ramen shop even though that cost him a million dollar. Quality time with his family gives him greater meaning and pleasure, he noted.